Changes are on the discussion table for the 2015 sage grouse protection plan, prompting a number of associations and state legislators to urge officials to give the two-year-old plan more time to work, or at the least, make sure any changes are science based. December. 1 was the deadline to submit comments on an amended land use plan. The Bureau of Land Management describes the sage grouse habitat as high desert at the western edge of the Great Basin. BLM officials have spent two years amending their initial land-use plan that affects the management of sage-grouse habitat across millions of acres in 10 Western states. "The latest Interior Department move is a notice of intent that calls for public input to help formulate a new plan, which almost certainly would threaten habitat for the grouse, mule deer, pronghorn, elk and hundreds of other species, and throw into doubt a policy that took a decade of compromise to formulate," said Ken Rait, who directs The Pew Charitable Trusts' western lands initiative. Pew Chartiable Trusts is the sole beneficiary of seven charitable funds established between 1948 and 1979 by children of Sun Oil Company founder Joseph Newton Pew and his wife. In a letter to Secretary Ryan Zinke, DOI staff and the BLM, more than 100 wildlife and natural resources professionals urged the administration to stick to the science while considering amending the current federal sage-grouse conservation plans finalized in summer of 2015. The U.S. 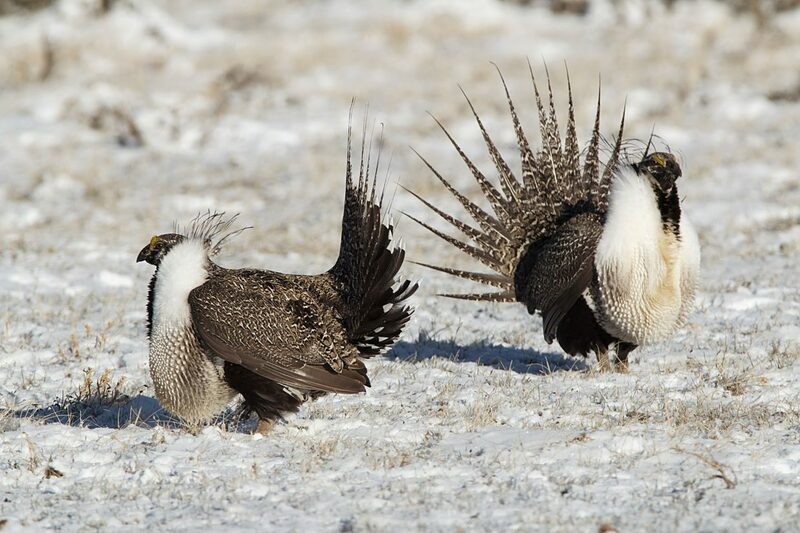 Fish and Wildlife Service's landmark decision not to list greater sage grouse as threatened or endangered that same year was predicated, in part, on the effectiveness of these plans for millions of acres of the bird's core habitat. "We have a long way to go to keep that 'not warranted for listing' decision intact for sage grouse," said Dr. Jack Connelly, a former wildlife research biologist with the Idaho Game and Fish Department, who spent most of his 41-year career working on sage grouse habitat issues. "Major changes, delays, or management actions that are not supported by the best-available science could threaten the entire conservation strategy that got us to this point—and that level of coordination and planning was an exceptional accomplishment." "No land-use management plan — state nor federal — is perfect, so these plans should be improved upon over time," said Dr. Ed Arnett, senior scientist for the Theodore Roosevelt Conservation Partnership. "Some changes to the plans may be acceptable right now, as long as they are science-based and don't alter the entire course for conservation. We look forward to continuing to work with the Department of Interior and BLM to ensure sage grouse conservation is effective and also works for stakeholders across the West." Wyoming Gov. 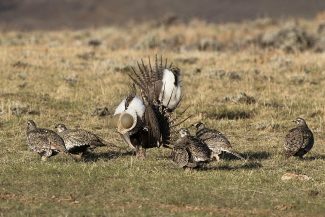 Matt Mead gave his two cents on the plan in October, when BLM announced the agency will no longer consider removing millions of acres of land for hard rock mining in sage-grouse habitat across six states. This action means 265,000 acres in Wyoming will not be withdrawn from hard rock mining. "The BLM's original proposal put at risk potential future development that could have brought the state millions of dollars and hundreds of jobs. 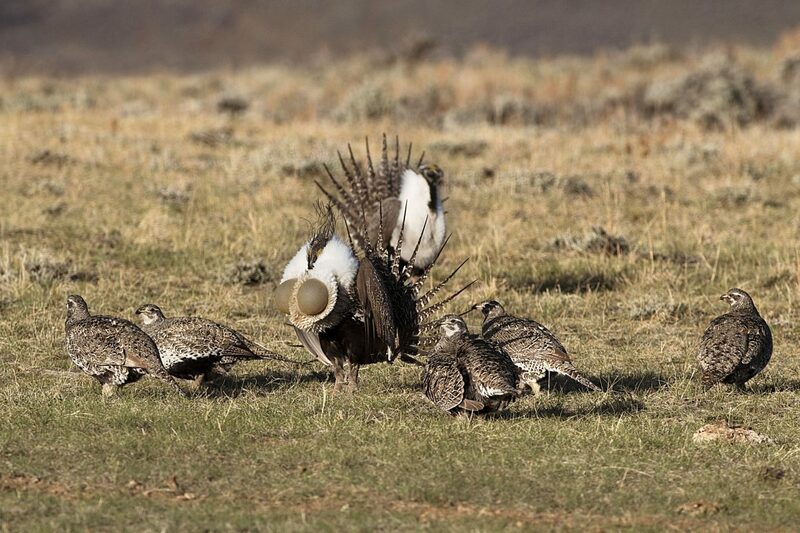 That proposal was unnecessary because Wyoming already has a system in place that protects sage-grouse while allowing for development of these minerals," Mead said. "I thank Secretary Zinke for cancelling the proposal." The BLM also announced then that the agency would be taking public comment on the federal Greater sage-grouse management plans. Wyoming is home to approximately 42 percent of the range-wide population. "We're roughly two years into having sage-grouse not listed under the Endangered Species Act. This is a good thing for the bird and energy development. As BLM looks to make changes to its federal plans, I would encourage the agency to find ways to better align with Wyoming's state plan," Mead said. "Folks representing energy, agriculture, recreation and conservation all came together to help frame the state's plan to ensure a strong habitat for sage-grouse in Wyoming. There are positive changes that can be made to the federal plans, but we should be careful and thoughtful about how we do that." Rebecca Fischer, with Wild Earth Guardians called the DOI's state by state approach is "appalling."